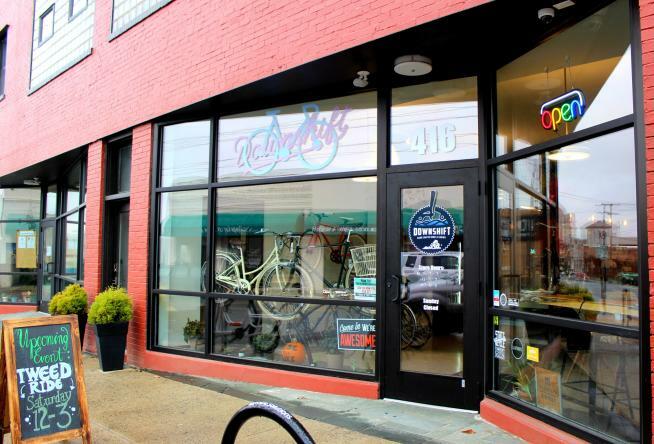 There is another cool spot for visitors to check out in Virginia’s Blue Ridge with the opening of Downshift - Hand Crafted Bikes & Brews in Downtown Roanoke. 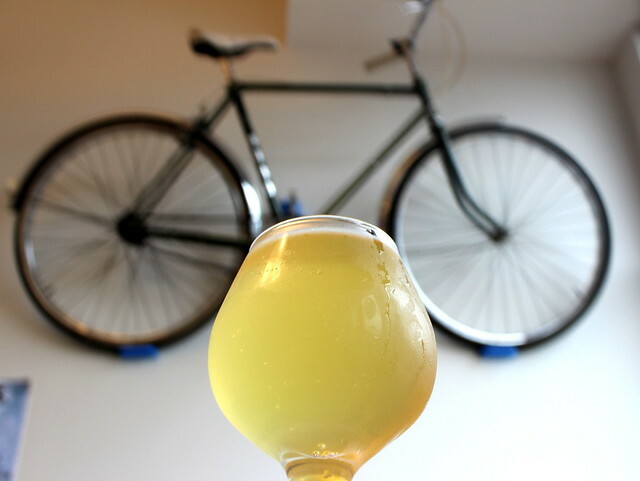 It’s the latest addition to the region’s growing bike culture, but it also operates as a bar & cafe where you can enjoy a meal or drink while checking out a wide selection of bicycles and biking gear. Downshift held its grand opening on November 1 and owner Steve Ambruzs hopes it will operate as a community center and not just a bike shop. 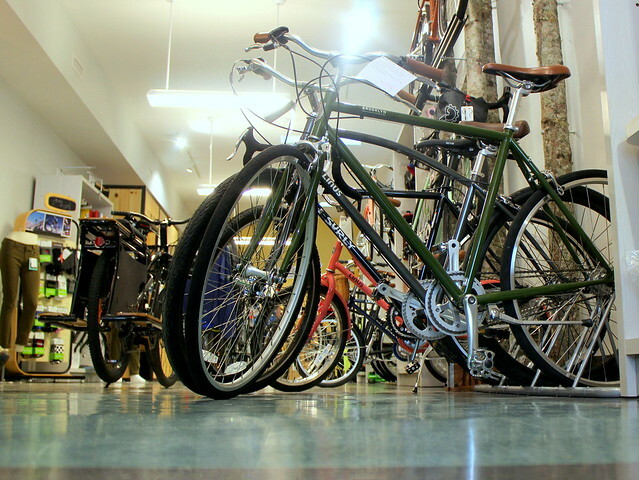 While you can certainly find unique bike gear and apparel, various bicycles for purchase, and take in your own bike for fixes and repairs, Downshift is also meant to serve as a space where you can have conversations with others who share a passion for cycling and want to incorporate it into more aspects of everyday life. As another way to connect to the biking community in Virginia’s Blue Ridge, Downshift intends to offer casual monthly rides, as well as clinics and educational classes. Be sure to give them a follow on Facebook to keep up with special events and other announcements. If you’re looking for a bicycle for purchase, there are a range of options for leisurely riding, commuting, touring, and cargo bikes, with prices starting around $299 based on the style. 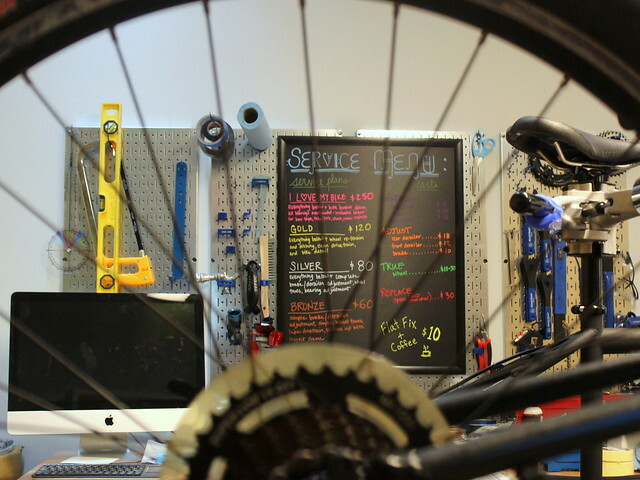 Need a tuneup for your bike? Steve, the shop owner, is a mechanic who can help with adjustments, installations of new pieces, basic repairs, and full service plans. When you’re not riding your bike, Downshift is the place to be for a brew - and we don’t just mean beer! The bar features a rotation of six craft beers on tap, coffee and espresso drinks made with beans from Lexington Coffee Roasters, and kombucha on tap from Buffalo Mountain Kombucha. There is even nitro cold brew coffee on tap! There are bottles and cans of beer for sale, and you can also get a growler filled with your favorite brew, including kombucha. Feeling hungry? The food menu offers a variety of “Big Lick Bowls,” which are rice bowls with a combination of vegetables, sauce and other toppings, with the option to add avocado or protein. It’s a great option for vegetarians, and The Hubbard bowl is vegan-friendly. 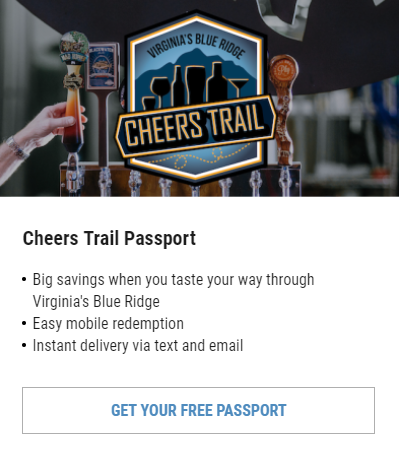 Whether you’re looking for a new bike, want to get the most out of your current ride, need some swag, or want to enjoy a drink in a cool, local bike shop, Downshift Hand Crafted Bikes & Brews checks all the boxes in Virginia’s Blue Ridge! Here are a few other details to help you plan your next visit. The shop is located on the west side of Downtown Roanoke near the Roanoke City Police Department on Campbell Avenue between 4th and 5th streets. In addition to partnering with other local biking organizations to participate in group rides and special events, Downshift will also be planning and organizing its own events, casual group rides, and educational clinics. Stay tuned to the Downshift Facebook page and website for more information and an upcoming schedule! 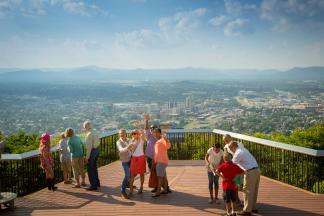 Downshift is part of the exciting revitalization of the west side of Downtown Roanoke. You can grab a few beers at the nearby Big Lick Brewing Company and its beautiful outdoor beer garden, and chow down on tacos at Tuco’s Taqueria Garaje or burgers at Beamer’s 25. It’s also just a short walk, or bike ride, to the Virginia Museum of Transportation on Norfolk Avenue. Want a nearby bike ride? Take Campbell Avenue west to 13th Street and turn left to head over to the Historic Grandin Village. The pros at Downshift can provide tons of information about the local biking community in Virginia’s Blue Ridge and great places to ride, but you can also check out our Biking section for information about upcoming bike events, trails and routes for road biking & mountain biking, and the community bike sharing program.